LONDON: 18 NOVEMBER 2015 - The directors of ECR Minerals plc (the “Directors”) are pleased to announce that firm commitments have been received in respect of a placing and subscription (the “Placing”) of 1,250,000,000 new ordinary shares of the Company of 0.001 pence (the “Placing Shares”) at a price of 0.02 pence each to raise gross proceeds of £250,000. The subscribers in the Placing include high net worth/sophisticated private investors and Metal Tiger plc (AIM: MTR). The Placing is conditional upon receipt of funds and admission of the Placing Shares to trading on AIM. Subscribers in the Placing will be issued one warrant per Placing Share (the “Warrants”). Each Warrant will entitle the holder to subscribe for one ordinary share of 0.001 pence in the Company at a price of 0.04 pence per ordinary share (the “Exercise Price”). Each Warrant shall be valid for three years from the date the corresponding Placing Shares are admitted to trading on AIM. In the event the Company announces that total mineral resources estimated at the Danglay gold project in the Philippines have exceeded 500,000oz contained gold equivalent in accordance with a Standard (of which there can be no guarantee), the Exercise Price of the Warrants shall be increased to 0.06 pence per ordinary share. The term “Standard” is defined by the AIM Note for Mining and Oil & Gas Companies. Issue of the Warrants is conditional upon completion of the relevant subscriptions for Placing Shares. Metal Tiger plc (“Metal Tiger”) has agreed to subscribe for 500,000,000 Placing Shares, equating to approximately 7.5% of the Company’s anticipated issued ordinary share capital following completion of the Placing. Accordingly, subject to completion of this subscription, Metal Tiger will be issued 500,000,000 warrants. The subscription by Metal Tiger (the “Transaction”) constitutes a related party transaction under the AIM Rules for Companies, by virtue of Paul Johnson, an executive director of Metal Tiger, having been a director of ECR within the twelve months preceding the Transaction. The current directors of ECR consider, having consulted with Cairn Financial Advisers LLP, the Company’s nominated adviser, that the terms of the Transaction are fair and reasonable insofar as ECR shareholders are concerned. The Directors intend that the proceeds of the Placing will provide working capital for the activities of the Company which are summarised below and for general corporate purposes. “This Placing is expected to provide the working capital necessary to continue the development of ECR’s business into 2016, with a particular focus on gold projects in the Philippines, including the Danglay project, and Australia. 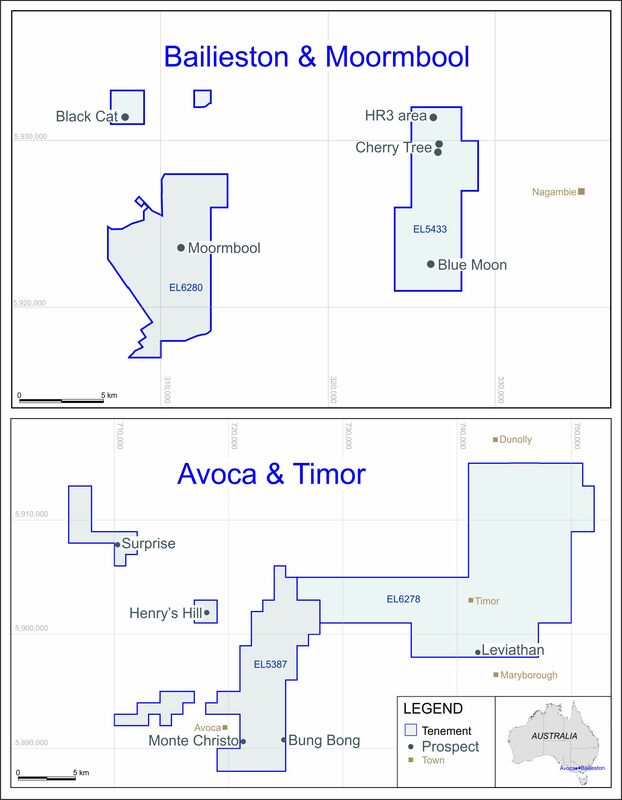 * Review of potential projects in Australia for the Company’s subsidiary Mercator Gold Australia Pty Ltd (“MGA”). MGA has tax losses of approximately A$66M and efforts are focused on identifying a suitable mineral project with a clear path to profitable production. The Directors now consider that MGA is less likely to be sold, but that Australia has become a more attractive operating environment for mineral projects following the substantial depreciation in the Australian dollar against the US dollar and the pound which has occurred during 2015. Pursuant to the Placing it is expected that application will be made for a total of 1,250,000,000 new ordinary shares of the Company of 0.001 pence (“Ordinary Shares”) to be admitted to trading on AIM. Allowing for the expected settlement dates of the Placing Shares, admission to trading on AIM in respect of 900,000,000 new Ordinary Shares is expected to occur on or around 23 November 2015 (“First Admission”), and admission to trading on AIM in respect of a further 350,000,000 new Ordinary Shares is expected to occur on or around 2 December 2015 (“Second Admission”). Following First Admission only, it is expected that the Company will have a total of 6,339,367,772 Ordinary Shares in issue. Following both First Admission and Second Admission, it is expected that the Company will have a total of 6,689,367,772 Ordinary Shares in issue. The Placing Shares will rank pari passu in all respects with the Ordinary Shares of the Company currently traded on AIM. ECR is a mineral exploration and development company with the right to earn a 50% interest in the Danglay epithermal gold project in the Philippines. Danglay is an advanced exploration project located in a prolific gold and copper mining district in the north of the Philippines. ECR has a 100% interest in the SLM gold project in La Rioja Province, Argentina. Exploration at SLM has focused on identifying small tonnage mesothermal gold deposits which may be suitable for relatively near term production.